Cardiomyopathy is a disease of the muscles in the heart. It causes your heart muscles to become enlarged. The extra thickness and stiffness of the muscles can weaken your heart over time. A weak heart cannot pump blood easily. When your heart has difficulty pumping blood, it can cause irregular heartbeat. It can also cause heart valves problems and even heart failure. People of all ages and races can have cardiomyopathy. Rarely, cardiomyopathy can happen during the last trimester of pregnancy or the first few months after having a baby. Your doctor will ask about your personal and family medical history. It is important to tell your doctor if someone in your family has cardiomyopathy or another form of heart disease. Some of these conditions can run in families. Your doctor may do tests to see if you are at risk. Your doctor will also examine you. He or she may perform some tests on your heart and blood. Can cardiomyopathy be prevented or avoided? Cardiomyopathy can be inherited (it runs in families). You cannot prevent this type of cardiomyopathy. But you can make healthy lifestyle choices to reduce your risk of complications associated with cardiomyopathy. You can also develop cardiomyopathy as the result of another disease or condition. Sometimes early treatment of that disease can help prevent you from developing cardiomyopathy. Avoid using alcohol and illegal drugs. Exercise or be physically active. Treatment depends on the cause of the cardiomyopathy. For example, if you have high blood pressure, your doctor may prescribe medicine to help control it. If you smoke or drink alcohol, your doctor will probably advise you to quit. You may need to lose weight if you are overweight or obese. Physical activity is an important part of a healthy lifestyle. However, you should check with your doctor before starting an exercise program. Your doctor may prescribe medicine to treat cardiomyopathy. He or she may also suggest that you eat less than 2,300 mg of salt or less per day. Sodium intake is linked to high blood pressure and heart disease. If you have heart failure, you may need a small device that is like a pacemaker to help your heart work correctly. You will need surgery to place the device in your body. In serious cases, a person who has cardiomyopathy may need a heart transplant. A cardiologist (heart specialist) can help you and your doctor make that decision. Some people who have cardiomyopathy have mild symptoms or no symptoms at all. If you fall into this category, you may not need treatment. Talk to your doctor about monitoring your disease. If you have moderate or severe symptoms, work with your doctor to control them. Make recommended lifestyle changes. Take medicines as prescribed by your doctor. Doing these things can help control your symptoms and even prevent the disease from getting worse. What is the likely cause of my cardiomyopathy? If another condition is causing my cardiomyopathy, will treating that condition cure me of my symptoms? What is the best treatment for me? Medicine? Surgery? 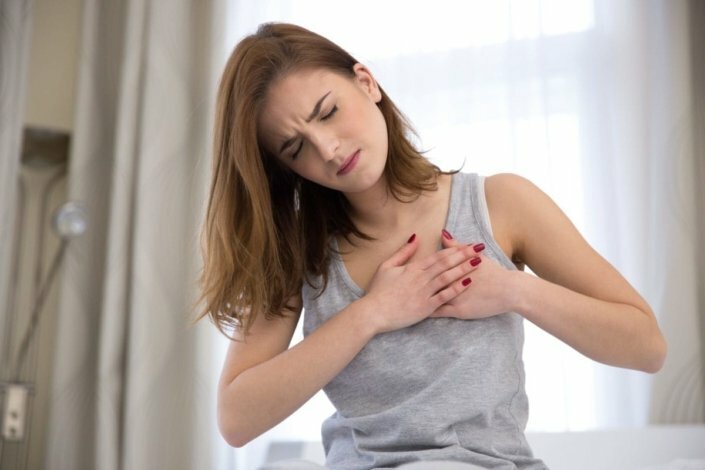 Am I at risk of heart failure? Will I need a heart transplant?